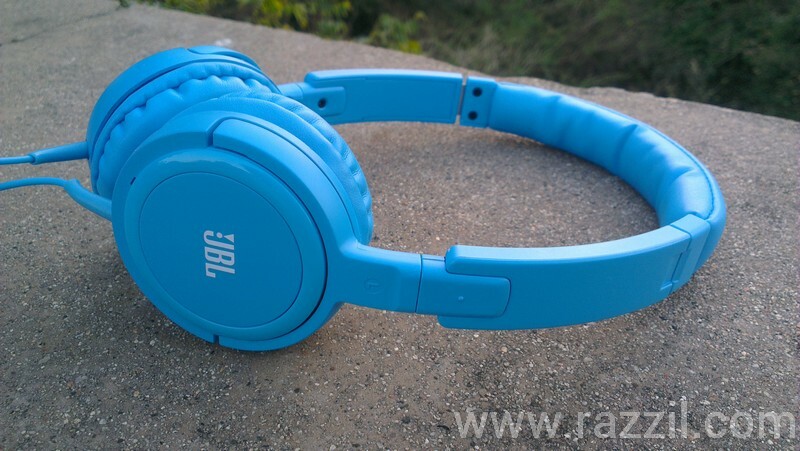 If you are looking for an over ear headphone which is not too big, belongs to a pro brand, comes with pocket friendly price tag (₹ 1227/-) and satisfy your mood musically then click here and grab it online otherwise be my guest till the end of this article and let me tell you my personal experience with JBL Tempo On-Ear Headphones. I don’t like to spend too much on music accessories, I was happy with my default earphones that came with my HTC One X but my sister broke the earphone. Now I need new accessory that i can listen music. 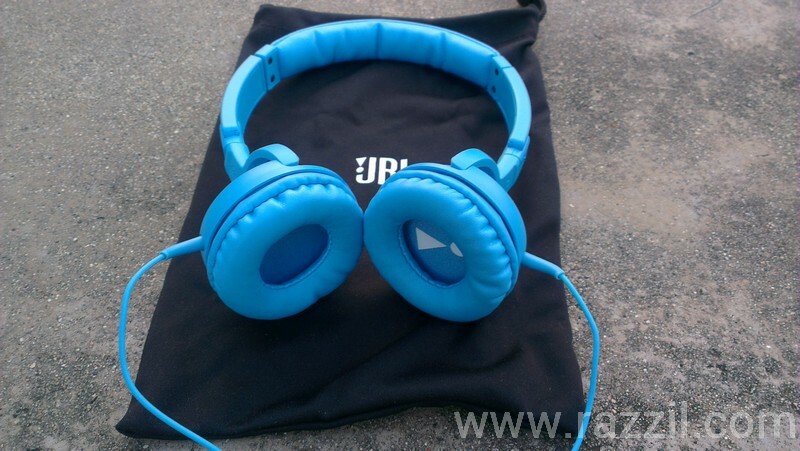 I decided to buy JBL Tempo On-Ear J03U Headphone which comes in Blue color. You can also buy the same headphone in Red, White and Black colors. In an arresting package with head gear a free headphone carry pouch with JBL logo printed on it is included. 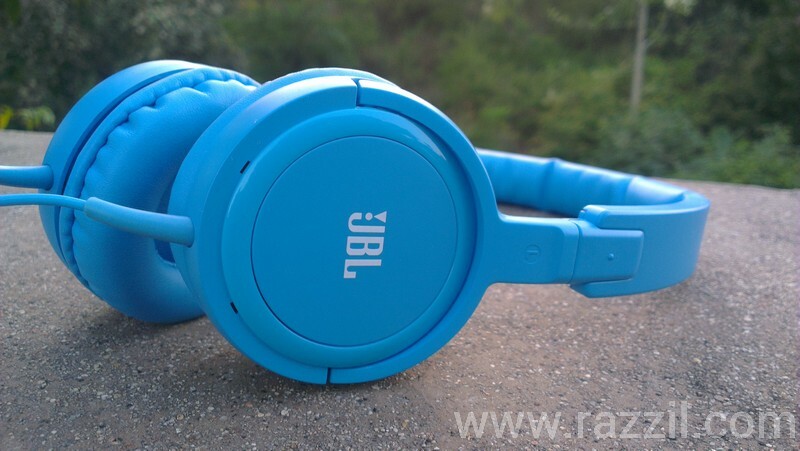 Simple yet dynamic, it comes in a plain shade of single color Blue all over with white logo of JBL both of the outer sides and a white sound signature inside the left driver part. One can easily turn it into a mini DJ type headphone. Padding over head and cushioning on both ears gives the soothing feeling even after using it for as long as a couple of hours. First, you may feel that the headphone grip is a bit too tight, but soon the headphone will soon adjust its grip. The JBL Tempo On-Ear headphone is very light. One can’t expect what a surprise this headphone is. As an entry level head gears, it’s impressive I have no complaints with treble at all, bass is thumping initially I found the mid level sounds as a weak factor, but a small touch to the equalizer settings made everything balanced and suitable for maximum music genres. For listeners of progressive rock I would suggest keeping the volume just below the full at 80-90% otherwise bass will overtake all other instruments and also sound becomes too distorted. 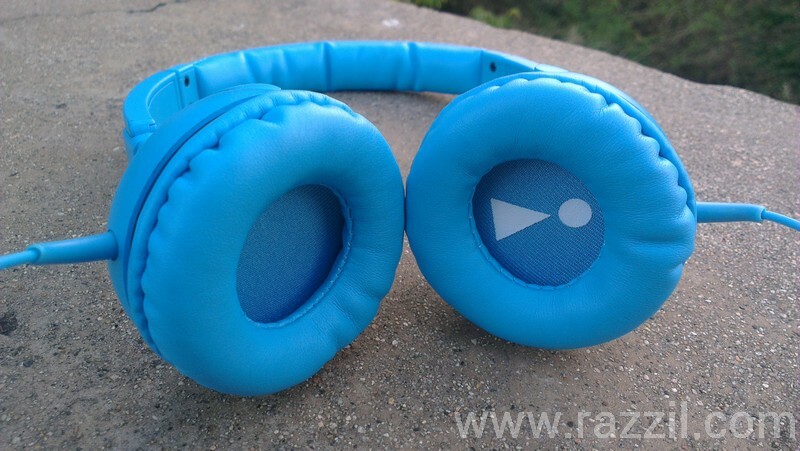 Overall the sound quality is very impressive and the headphone won’t hurt your ears if you’re listening for long hours. The JBL On-Ear will deliver crystal clear vocals, clear sound, average bass and good instruments sound. Play with Equalizer if you want to extract more. The standard 3.5mm jack supports all compatible devices for me it works well with my Dell Studio 1555 and much better with an HTC One X & Gionee Elife E7. The headphone is best fit for those who looking decent and good looking entry level headphones under 2K. The headphones doesn’t comes with mic, so beware before making any purchases. Thanks Atin Sharma for the input.